GCCME was established to provide quality instruction to individuals who wish to become certified Montessori teachers. Affiliated by the American Montessori Society and accredited by the Montessori Accreditation Council for Teacher Education, we offer a manageable course schedule designed to meet the needs of adult learners who will be balancing home and family life with a Teacher Certification Course. A program dedicated to educating Montessori teachers must have as its guiding values the fundamental principles upon which Maria Montessori based her philosophy. The same principles that pertain to children’s education need to be applied whenever possible to adults. GCCME believes that by following these principles, adult learners in the program will continue to grow in their understanding of Montessori education long past the completion of the program. Through in-depth exploration of philosophy and methods, adult learners graduate from each program with a deep understanding of Montessori education and current trends in child development. GCCME prepares Montessori teachers, following AMS and MACTE guidelines, for careers in Montessori education at the Infant/Toddler and Early Childhood levels. We are dedicated to preparing Montessori teachers by providing quality instruction in an atmosphere of inspiration, helpfulness, sincerity, and respect for the individual. It is the mission of GCCME to educate teachers on the Montessori Method, emphasizing rationale behind the philosophy, the transformation of the teacher, and the importance of continual self-growth. 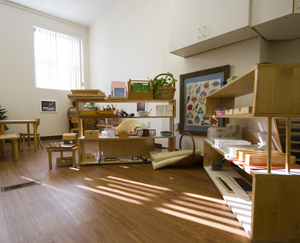 Conveniently located in Covington, KY just off 75, GCCME provides a fully equipped Montessori environment where students can practice with a complete complement of Montessori materials for both the Infant & Toddler and Early Childhood levels. GCCME has applied for substantive changes with both AMS and MACTE to move its location to Northern Kentucky Montessori Academy (NKMA), an AMS accredited school. NKMA is located just a few miles south in Crescent Springs, KY.